Raaga.com: BAAHUBALI Writes ‘New Box Office History – Becomes Indian Cinema’s ‘Biggest Hit’ Ever!! 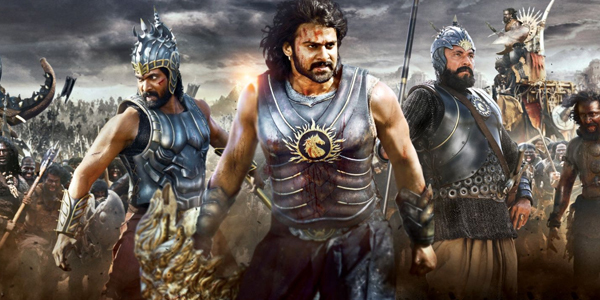 BAAHUBALI Writes ‘New Box Office History – Becomes Indian Cinema’s ‘Biggest Hit’ Ever!! SS Rajamouli's war epic BAAHUBALI has crossed the magical figure of Rs 100 crore in just two days of its release thus making it Biggest hit ever in the annals of Indian Cinema. In India too most film critics have given 3.5 to 4 stars to the movie terming it as visual extravaganza, emotionally excellent and entertainment guaranteed. What is more encroaching for SS Rajamouli is that BAAHUBALI’s word of mouth publicity has gripped films buffs so much that even its Hindi dubbed version has set new records. According to trade reports the Hindi version has crossed Rs.5.15 crore on the first day, making it the highest opening for a dubbed film. Earlier Rajinikanth-starrer ROBOT had managed to garner Rs.2.2 crore, while Kamal Haasan's 'Vishwaroop' amassed Rs.1.9 crore but BAAHUBALI’s collection is way ahead and with the movie generating fantastic reviews the cinema halls are over flowing. The mad rush for BAAHUBALI is so enormous that many cinema owners in North India have removed Kangana Ranaut I LOVE NY from screens and are replacing it with BAAHUBALI looking at the mammoth response for its dubbed Hindi version. 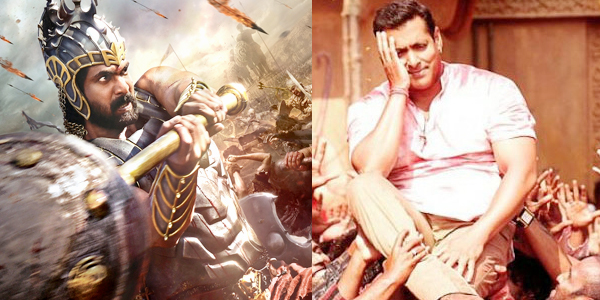 In fact many exhibitors feel that BAAHUBALI will also pose a big threat to even Salman Khan’s most anticipated film BAJRANGI BHAIJAAN, scheduled to release next week on the auspicious Eid festival. Though Salman Khan’s movie releases on Eid have been a boon to him - remember WANTED released on Eid in 2009. Since then Salman Khan has been consistent in delivering Rs 100 crore films on Eid every year like BODYGUARD, DABANGG, EK THA TIGER and KICK, all Eid releases and this year he has BAJRANGI BHAIJAAN, but looking at the unprecedented rush for BAAHUBALI, most film exhibitors predict that they won’t replace BAAHUBALI with Salman’s BAJRANGI BHAIJAAN, if the box office register maintain exceptional business.